In the heart of the singing desert, the people are fading from the world. Mothers bear few live children, the warriors and wardens are hard-pressed to protect those who remain, and the vash�ai�the great cats who have called the people kithren for as long as there have been stories�bond with fewer humans each year. High above, the Sun Dragon sings a song of life and love while far below, the Earth Dragon slumbers as she has since the beginning of time. Her sleep is fitful, and from the darkness of her dreams come whispers of war� and death. Sulema is a newly minted warrior of the people and a true Ja�Akari�a daughter of the unforgiving desert. 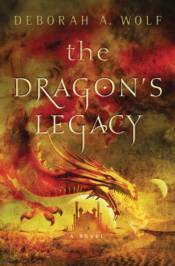 When a mysterious young man appears in her home of Aish Kalumm, she learns that the Dragon King is dying in distant Atualon. As the king fades, so does the magic that sings the Earth Dragon to sleep.